The julien has been great. I enjoy the apartment and the neighborhood! It has made the transition of moving from ohio to North Carolina much easier! We’ve lived at the Julien for 8 months now and we’re as happy as the day we moved in. Great place to live if you want amenities, fun events and a beautiful apartment all in a great, walkable neighborhood. Hi Alice L., we are very happy to have provided you with such a positive experience! Please let us know if there is anything else we can do for you; we are more than happy to help! Very convenient to work and the bars in the surrounding area which makes this place a real gem. Even my barber is right across the street!!! Catherine Bailey D., thank you for your kind words and this wonderful review! The Julien is in a great location- walking distance to Plaza Midwood’s best bars and restaurants, has a very helpful and responsive staff, and is extremely pet friendly (which is hard to find in Charlotte)! Annis Taylor H., we're glad you had such a wonderful experience with us! I have lived at the Julien for almost 3 years now and have loved being here. I have met some great people while also being able to be very private if I choose. The location of The Julien is the best in Plaza Midwood! I would recommend The Julien to anyone!! Thank you for your kind words about The Julien! Have a great day! Great location, great staff, and great atmosphere! Not much more you could ask for living in a place in the middle of Plaza Midwood that is within walking distance to Harris Teeter, multiple bars and restaurants, and close to Uptown! Joshua G., it's experiences like yours that really keep us motivated! Sometimes I get home and there’s no parking in the garage. Also put door mats at all of the entrances and exits (ie. The stairwell doors) Sometimes valet trash comes really late, and I like to bring the bin in before morning or else I will forget. The coffee maker is nice. Thank you for your review of The Julien. We appreciate your feedback so that we can work to improve! Have a great day! We’ve lived at the Julien for 6 months now and love it as much as the day we moved in! The management is great, we LOVE the events they put on each month, and the amenities can’t be beat for the price. Hi Alice L., thank you so much for your positive comments about The Julien! Feel free to reach out to us if you need anything. Have a wonderful day. Everyone is so helpful, nice and welcoming. The community is beautiful and in an awesome location. My boyfriend and I are so excited to live here! I love living at the julien. The location is perfect in plaza midwood, close enough to walk to bars, restaurants, and stores, but still with a neighborhood feel. 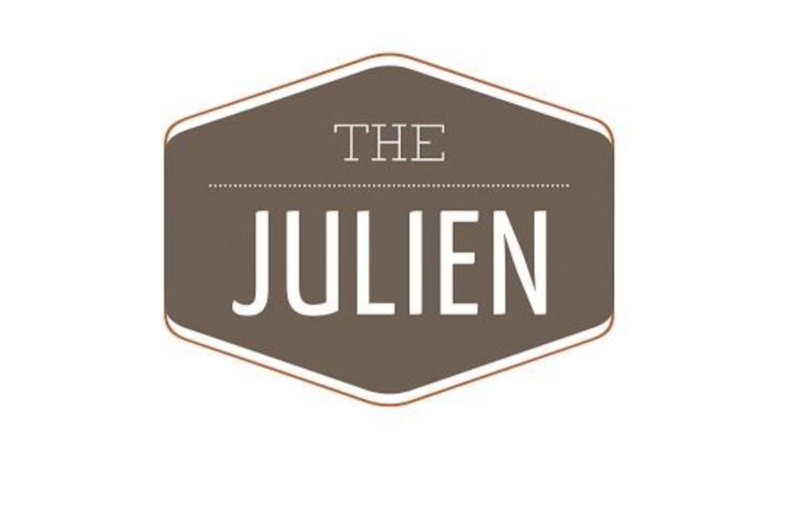 Rachel Floren P., we are so happy to read such a great review about The Julien! Lynn is awesome and her assistance and enthusiasm made the process great. The application process was very accessible and easy through the online portal. We LOVE living at The Julian. The building is always clean and inviting, and the management is great. Monthly events, free coffee in the clubhouse and top-of-the-line amenities make it a great place to live! I love living here. The residents are friendly, lots of fur babies too! It’s a safe, quiet and very well kept spot near Commonwealth and you can walk to most everything in Plaza Midwood. Susan D., your wonderful feedback and rating mean a lot to us. We love living at The Julien. The building is beautiful and we love the amenities included. The staff is incredibly professional and always there when you need them. I put in a service request and someone came out less than two hours later, and took care of everything. I’d recommend The Julien to anyone! Great staff, area, and amenities! Everything is in walking distance and the people in the area are extremely friendly. The complex is pet-friendly which is a huge plus! I have Thoroughly enjoyed my time here so far. Lindsay F., thank you for your kind words and this wonderful review! My experience here has been good, like the garage being gated that was important to me for the safety and protection for my vehicle. Along with the great location within plaza Midwood being walking distance to a grocery store. Been a good experience so far....Biggest issue I had was that my rental car got towed 2 days after I moved in because I did not know I was supposed to have a sticker in the car. Michael Richard M., we are so happy to read such a great review about The Julien! The Julien is a great community with friendly residents. Nichole is a great property manager. The building is small, which resulted in a lack of amenities. A pool, bigger gym, and roof top area would make the Julien the best place to live in Plaza Midwood. Unlike most properties in the area, street parking is available for guest. Bobby A A., thank you for your kind words and this wonderful review! Cozy secure place to live in plaza midwood! Walking distance from the necessities- grocery, gas station and the bank (WF). Several nearby restaurants and bars! Phenomenal maintenance staff. Quiet, clean, and very nice community. I love how dog friendly they are! Close proximity to everything you need including coffee and groceries. The apartments are very nice with good appliances. Community if very dog-friendly, my pug loves it! The parking is really convenient with a lot of good places to eat/visit nearby. Great place to live, apartments are super nice. Location is great, easy commute to work uptown. Plenty of bars and restaurants within walking distance. Conor L., we are so happy to read such a great review about The Julien!